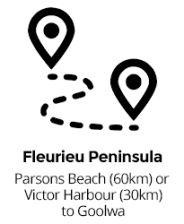 Grab 3 of your besties & trek 30km or 60km along the Fleurieu Peninsula in Adelaide Coastrek. See beautiful bays, jaw-dropping cliff tops & make lifelong memories. Add your name below and we’ll tell you when entries open AND offer you a $100 discount. 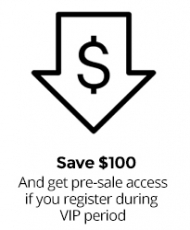 But hurry, discount entry is for a limited time only. Get your squad together for a girls day like no other! to get more women moving in nature. It's time to be a kickass Wild Woman! 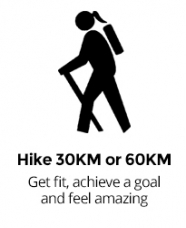 Fitness and endurance are the easy bits... this challenge will take you for a walk on the wild side. Push your limits as you trek along high clifftops, rough bush trails and thigh-burning soft sand. Learn the real meaning of friendship, teamwork and grit as you take on this 30km or 60km challenge with your squad, while raising funds for Beyond Blue. With our Luvmyhike HIIT training app you'll feel fitter, healthier and happier! Become a better leader, partner, business owner or parent. "Over 1400km covered in training walks and we finished in under six hours. I am woman and I can conquer anything!" Awesome checkpoints, insurance, preparation resources, event bib mailout, 12-week subscription to Luvmyhike App and your own finish line cheer squad! ^Terms and conditions apply. 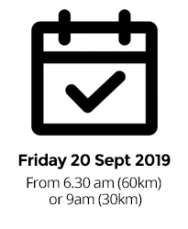 Discount is applied at $25 per team member who completes their registration payment within the promotion period (10am - 1pm ACDT | Tuesday 2 April 2019). Offer is not transferable or redeemable for cash.